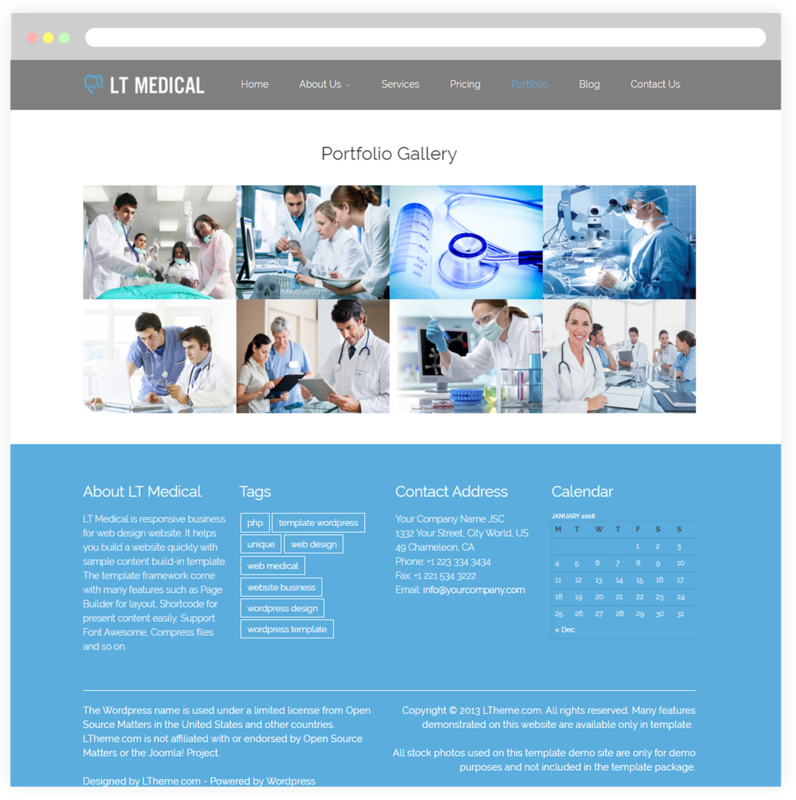 LT Medical is a Free Responsive WordPress theme that will be appropriate for any hospitals and clinics. 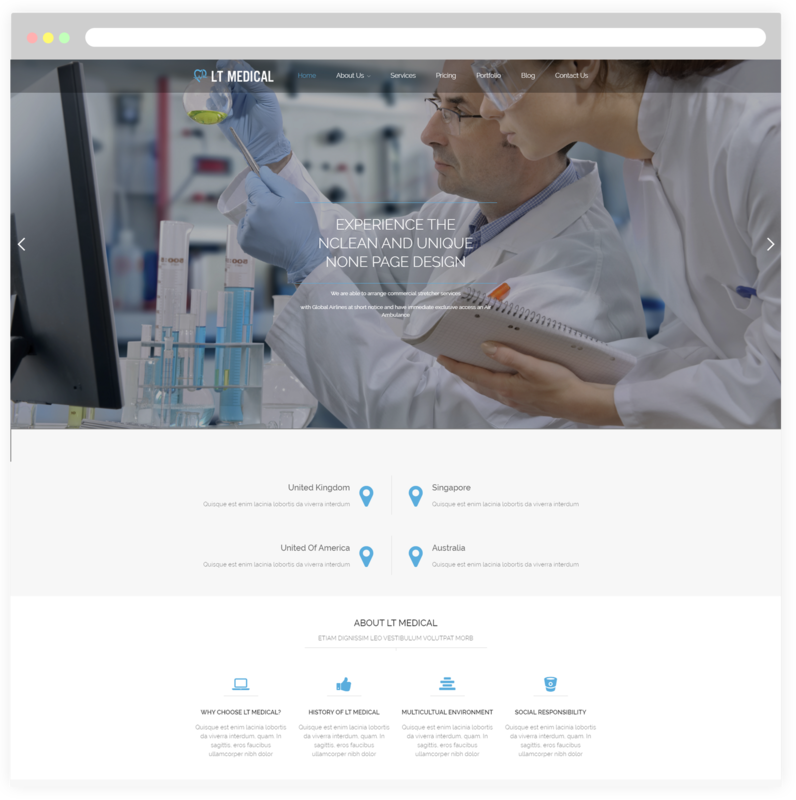 Our development team has used elegant design to create a powerful online marketing solutions and custom responsive website. Trustworthy plays an important role when someone decides your hospital will be place to take care their health, so the way your site perform will somehow affect to their decision. 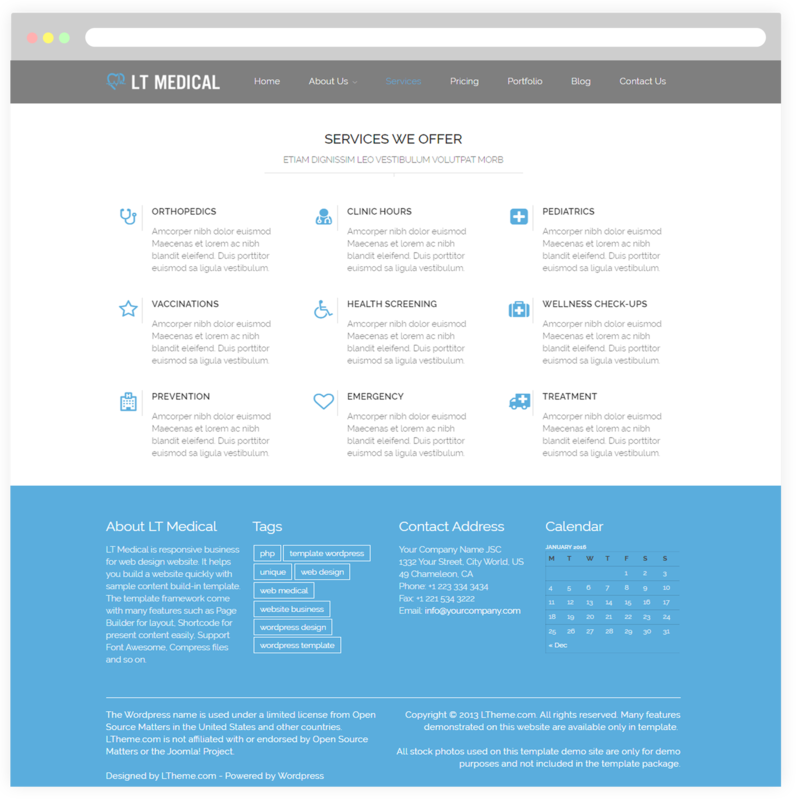 LT Medical provides detailed information to raise clients’ awareness of your services such as excellent team of doctors, emergency, special needs care, so on. 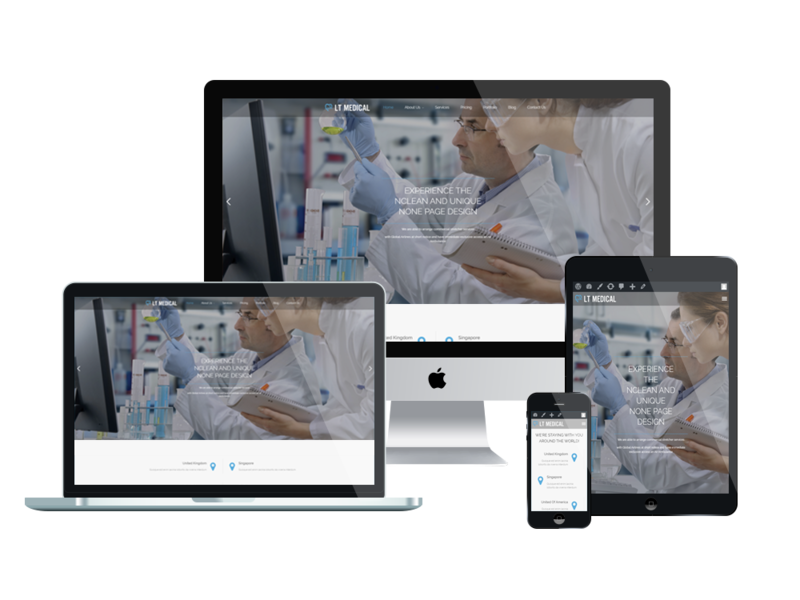 With 100% responsive support, the theme adapts automatically on any screen resolution of mobile devices and shows the content in the best way. 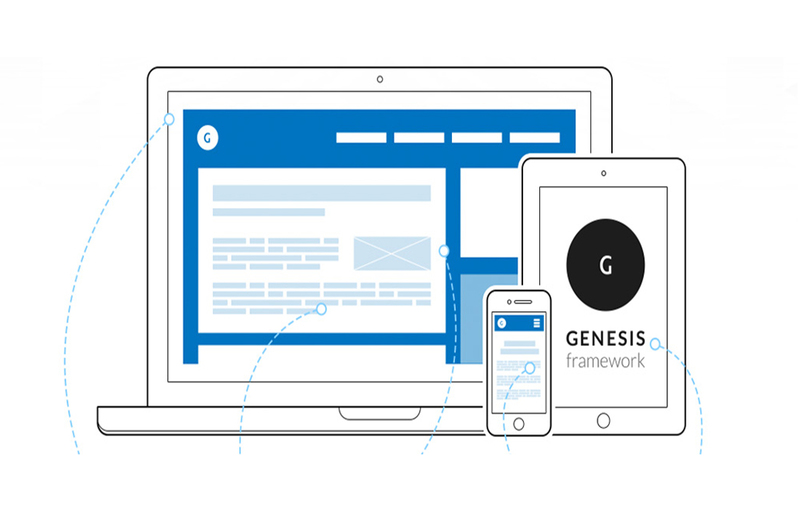 It perfectly developed on strong framework with fully bootstrap supporting strong shortcode, drag-drop layout content, Bootstrap CSS & Genesis framework. 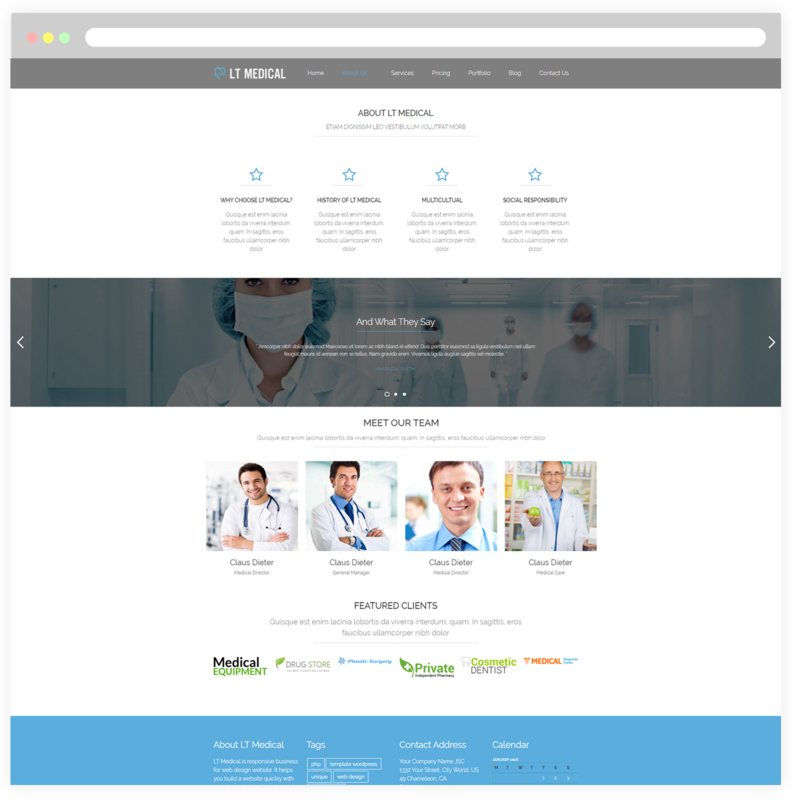 All amazing features plus unlimited color and a color picker in the admin panel create a powerful Free medicine themes to improve visitors’ browsing experience and increase patient satisfaction. Use this page to introduce something about the development as well as the goals of your hospital. So through this site, it is easy for you to present your desire. Moreover, you can also recommend expert doctors team of your hospital to all customers. This page brings you to present the services of the hospital. Especially, patients can learn and choose the best service package that they want. 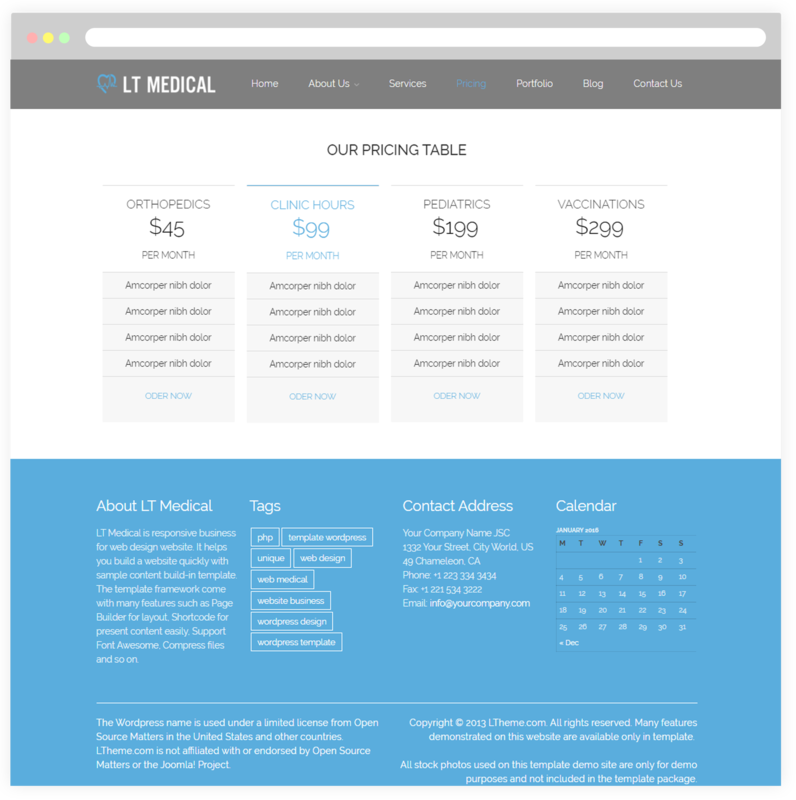 This is a preview of the pricing table we’ve designed for treatment process at the hospital. You can update different prices that your patients can choose the ones they want. It’s simply to customize columns/rows and manage the pricing table from its built-in admin panel. The description of the healing process at the hospital will be shown on this page. The process of treatment will get it closer to the patient. 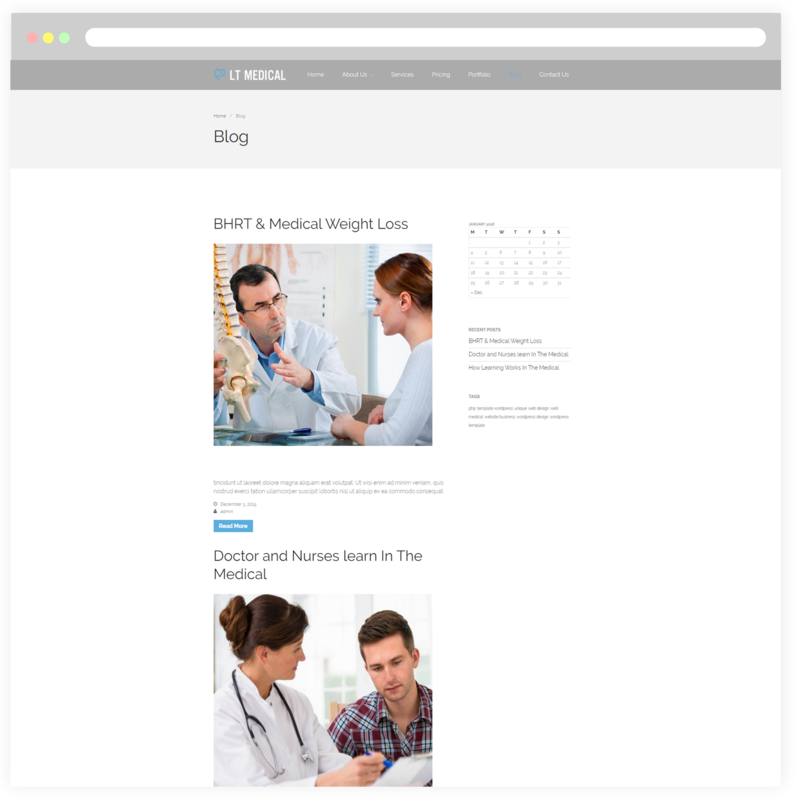 Set your blog posts about your hospital to display on it. Write and share effective treatments about medical on social medias. This is the best way to improve reputation of your hospital. 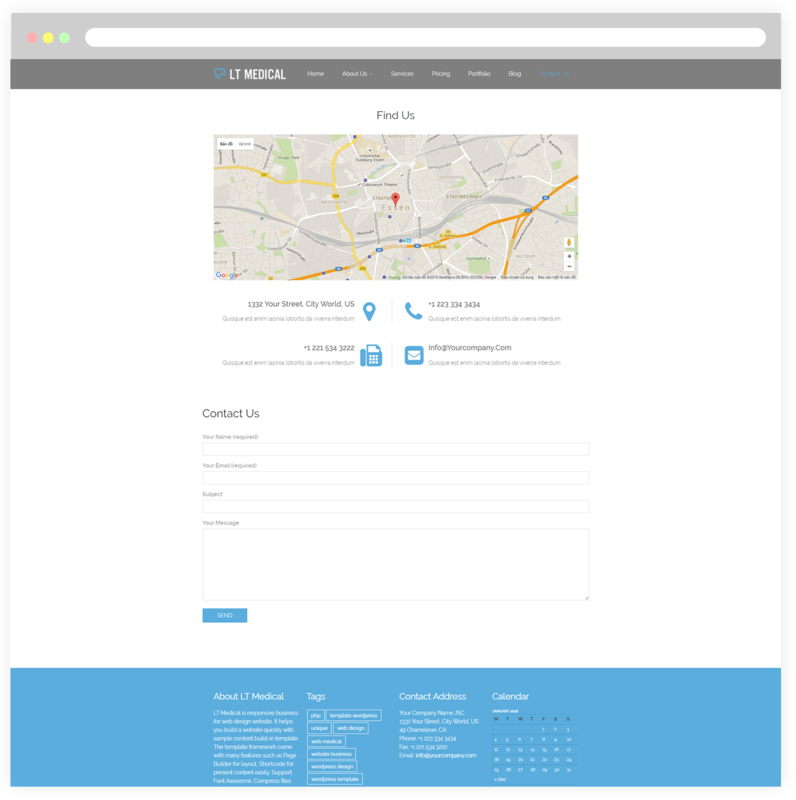 With this page, it allows you to display the necessary contact information about hospital to the patients.